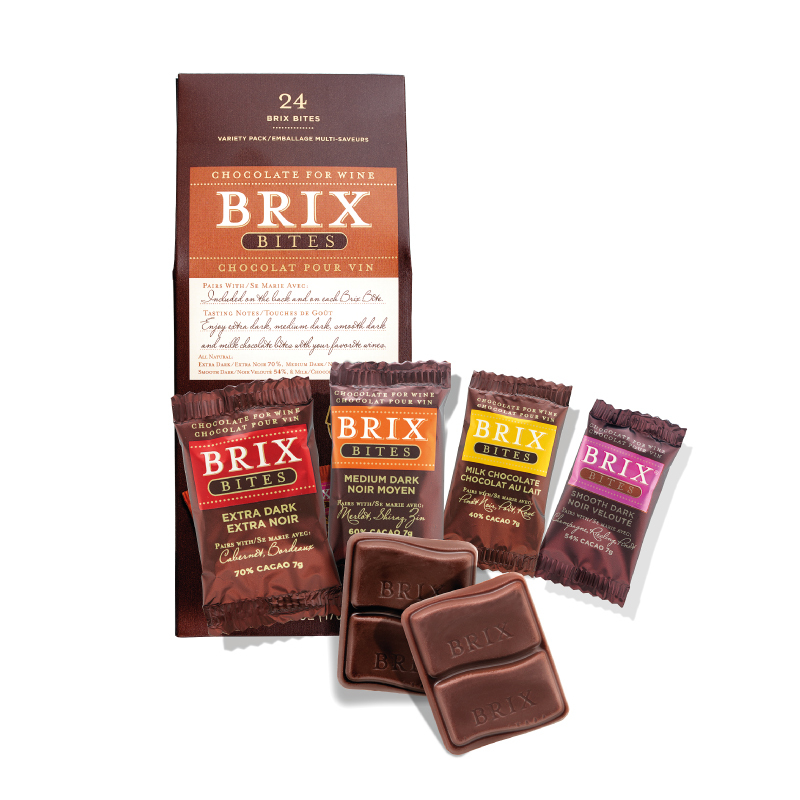 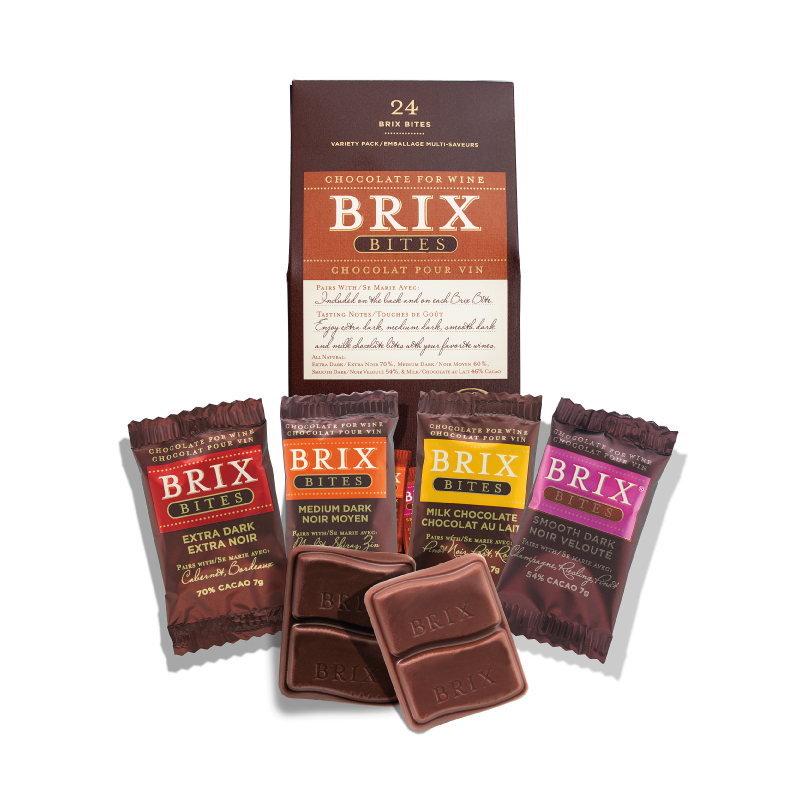 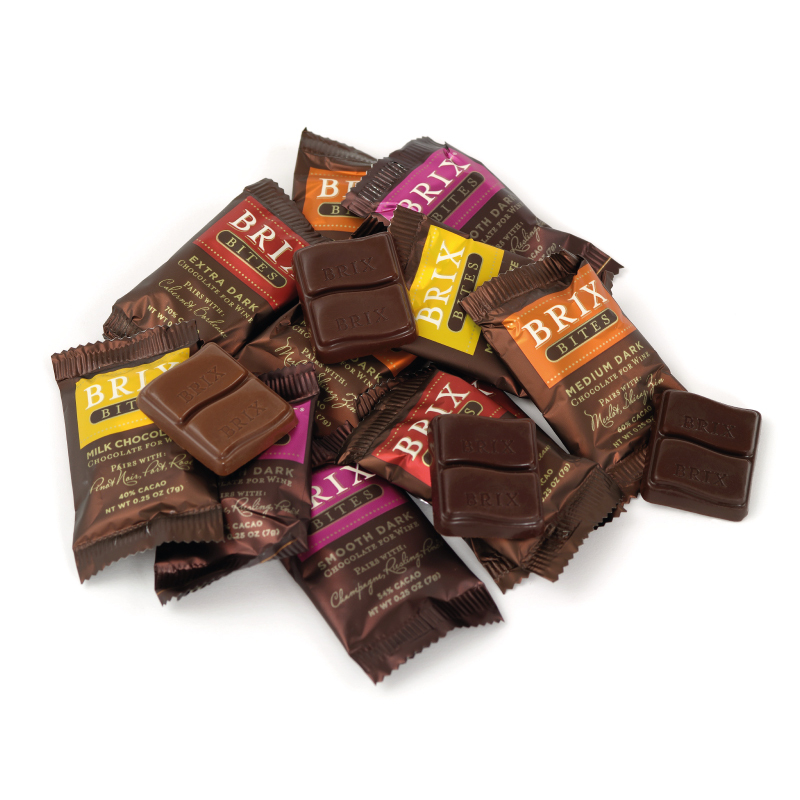 Enjoy Brix in individual serving sizes. 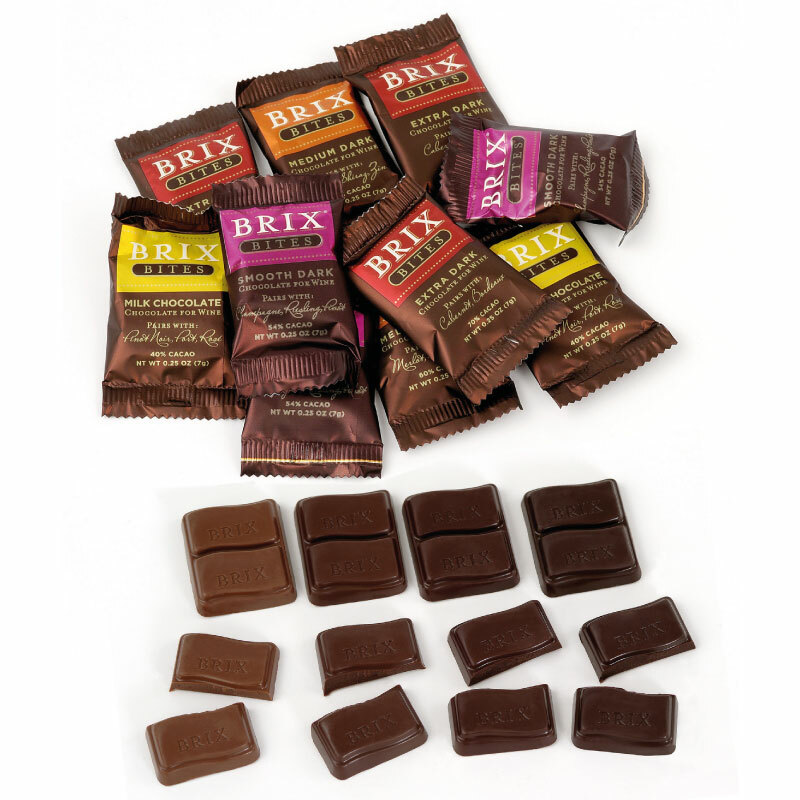 Each box contains 24, 1/4oz pieces, available in extra dark, medium dark and assorted. 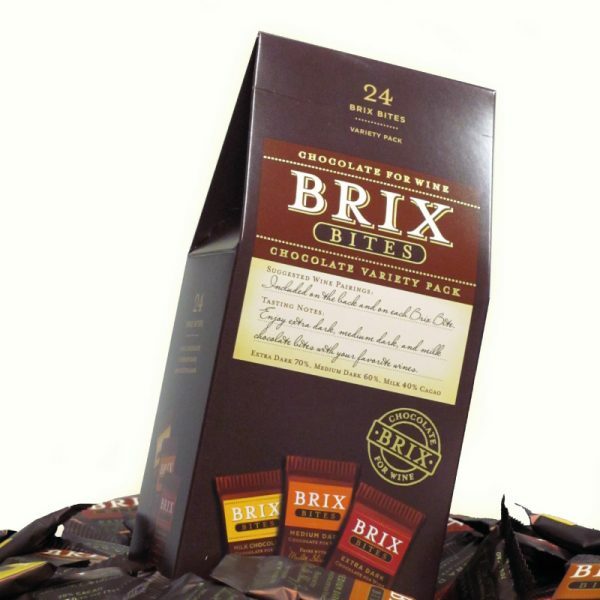 Also available in bulk 3lb boxes for sampling or sales.